Suffering from low iron? Diagnosed with anemia? This seems to be a common issue, especially among pregnant mothers and those who have recently had a baby. There are definitely a lot of ways to increase your iron intake, but some of them are not so ideal. Many iron supplements can be incredibly toxic, especially to children. Ever wonder why those pills say to keep out of reach of children or for adult use only? Children have even died from ingesting those toxic forms of iron. If something is doing that much harm to a child, I can not imagine that it is healthy for adults, whether we experience the toxicity symptoms or not. If you are looking to supplement with iron, make sure that it is from food sources. Thankfully, there are great herbal iron supplements available. These are non-toxic options for our bodies, plus they can be easily absorbed and utilized by our cells. What about cooking with cast iron? Some people with low iron decide to start cooking with cast iron cookware as a way to increase their levels. Maybe you’ve heard this is a good idea. However, we must consider that not all iron is created equally. When it comes to vitamins and minerals, there are bioavailable sources and there are not. Bioavailable means that it comes in an organic state that can be assimilated by the body. This type of mineral is organic not in the sense that it comes from organic sources and is labeled organic, but in its chemical makeup. Iron exists in our soil too, but we don’t eat dirt to get our daily intake because it is not bioavailable. We need plants to absorb the iron from the soil and transform it into an organic form that we can utilize. Inorganic minerals are not easily absorbed by our bodies. Yes, we can consume them. Yes, they might make a small dent in our mineral levels. Mostly though, they just end up being excreted by the body as toxic waste, or worse yet, they end up being stored in mineral deposits that later bring pain and dis-ease. You wouldn’t lick a copper pipe to increase low levels of copper in the body, and you wouldn’t lick a cast iron pan to increase your iron. So how is cooking with cast iron any different? The answer is that it isn’t. There are bioavailable sources of iron that can actually be utilized by our bodies, and these do not include metal cookware. How about iron in my diet? Diet is by far the easiest way to get more of any mineral into your body. However, you have to keep in mind that whole food sources will always be better than processed food. There are shelves and shelves of boxed foods touting a nutrition label with high iron content, but many of those are fortified with synthetic versions of minerals. Your body needs the real deal. A beet from the produce section may not have a nutrition label, but the iron you get from the beet is infinitely better than the type coming out of the box. Another amazing source of iron and one that is incredibly common and free is dandelion. The leaves from dandelion plants can be a great addition to salads, green smoothies, and other dishes. Keep in mind that the more mature the leaves are, the more bitter they will taste. 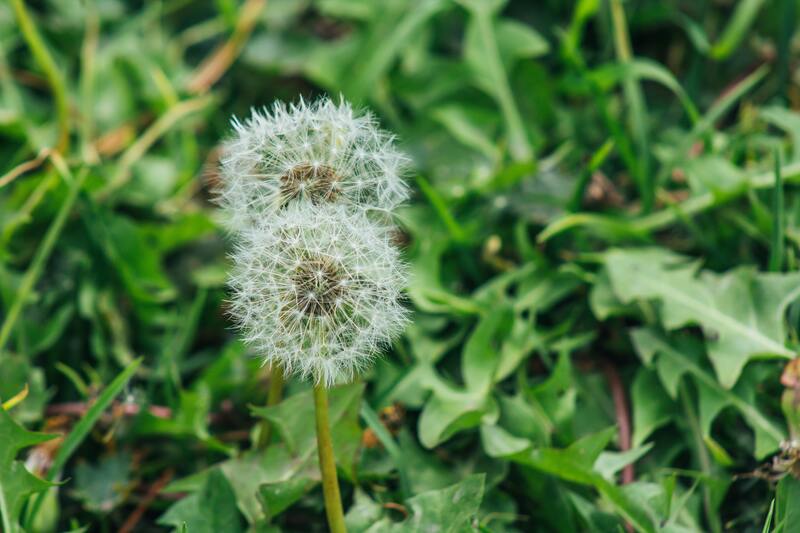 If your yard gets overtaken with dandelion, rejoice because you have a free, bioavailable source of iron! How do you get iron into your body?